Adventure awaits the Straw Hat pirate crew as they set their sights for the Forgotten Island with their new mysterious raccoon friend Pato. After landing on the island the Straw Hat pirates are kidnapped by The Red Count; a powerful pirate who escaped the depths of Impel Down, an infamous underwater maximum-security prison for the most dangerous criminals the world has seen. Luffy must explore the Forgotten Island, accept quests from residents, and take on enemies as he attempts to save his kidnapped friends. 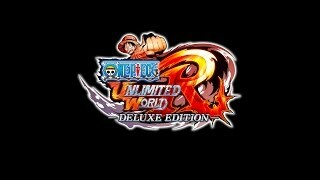 5/19/2017: One Piece: Unlimited World Red Deluxe Edition is coming to Switch, PC, and PS4.